Israel and Hamas share common interests, and the latter is needed to maintain stability in the Gaza Strip, an Israeli general says. It comes after right-wing Israeli politicians criticized the military for failing to oust Hamas from Gaza. According to Major-General Sami Turgeman, Hamas' continued rule is necessary to prevent the enclave from descending into chaos. Turgeman is in charge of Israeli forces on the Gaza and Egyptian borders. Speaking to the heads of Israeli villages on the Gaza periphery, Turgeman said the Islamist group seeks stability and “does not want global jihad” – a term used by Tel Aviv to describe the Islamic State (IS, formerly ISIS/ISIL), Al-Qaeda, and their off-shoots. "Israel and Hamas have shared interests, including in the current situation, which is quiet and calm and growth and prosperity," said the general, as quoted by Yedioth Ahronoth newspaper on Tuesday. "There is no substitute for Hamas as sovereign in the Strip. The substitute is the IDF (Israel Defense Forces) and chaotic rule...and then the security situation would be much more problematic," he said. The comments also come despite Turgeman's leading role in last year's war with Hamas, which led to the deaths of 2,200 Palestinians and 73 Israelis. After the war, right-wing politicians – including members of Netanyahu's cabinet – criticized the August 26 truce, stating that the military should have continued its offensive against Gaza until Hamas was removed from power. He also predicted a continued build-up of Hamas' armed capabilities. Turgeman, who is stepping down from his post in two months, added that Israel has “no goal” that it wants to achieve in Gaza. 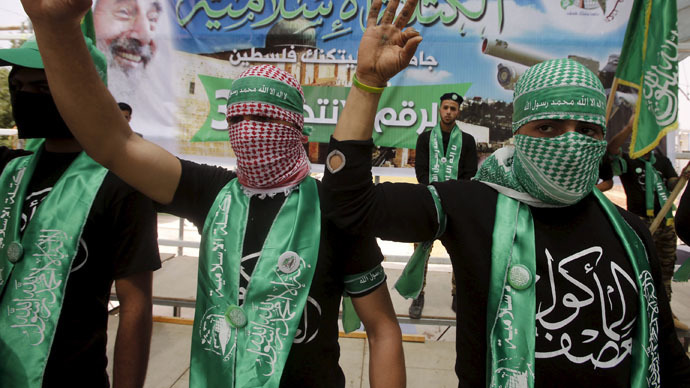 Hamas, which took power in Gaza following a brief civil war in 2007, preaches the destruction of Israel which in turn launched several military offensives against the Gaza Strip.